Hub City Press, 9781938235597, 304pp. 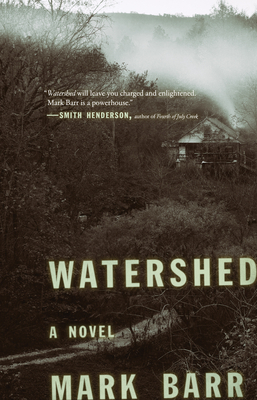 Set in 1937 in rural Tennessee, with the construction of a monumental dam serving as background--a cinematically biblical effort to harness elemental forces and bring power to the people--Watershed delivers a gripping story of characters whose ambitions and yearnings threaten to overflow the banks of their time and place. Nathan, an engineer hiding from his past, and Claire, a small-town housewife, struggle to find their footing in the newly-electrified, job-hungry, post-Depression South. As Nathan wrestles with the burdens of a secret guilt and tangled love, Claire struggles to balance motherhood and a newfound freedom that awakens ambitions and a sexuality she hadn't known she possessed. The arrival of electricity in the rural community--where violence, prostitution, and dog-fighting are commonplace--thrusts together the federal and local worlds, in an evocative feat of storytelling in the vein of Kent Haruf's Plainsong, and Ron Rash's Serena.